INDUSTRY.co.id - Jakarta, are you preparing an interview for a finance position? You will not go wrong with the "Interview Cash Flow" series, where we highlight specific interview questions within the industry, complete with our insights into what each question means, and how best to answer it. Question: What do you enjoy most about working as finance? Meaning: The interviewer wants to know if the profession can motivate and inspire you. The best way to answer: Based on your own experience, talk about the most stimulating financial aspects of your life, such as the daily challenges of figuring, the difficult learning process, the financial rewards, and so on. Explain specifically and according to your person-this can indicate your passion and authenticity. Question: What do you think is the most important quality that must be had in order to be successful as finance? Meaning: This is a subtle way to read your personality and values. The best way to answer: Identify some attributes and share your thoughts and why you think they are important. You can cite an example from a previous manager who has similar qualities, which steps you follow. Question: What makes you feel the most appropriate person to get this job? Meaning: The interviewer wants to see if you understand the details of the existing requirements on job advertisements, and how much research you have done on the company and the culture of the company. In short, he wants to know what makes you different from other applicants. The best way to answer: Assuming that you have performed a feasibility test for the company and this position, you should be able to provide details of how your expertise and experience fit and complement the job requirements and company values. Your goal is to convince the interviewer that you will fit into the corporate culture and be a valuable asset to the organization. Question: How do your boss and co-worker describe you? Meaning: The interviewer wants to see how objective you are and to what extent you know your strengths and weaknesses. The best way to answer: It is important to be humble and honest during the interview, but here you need to reflect on yourself and be honest without being over-confident or inferior. Maintaining balance is important. Admit areas of deficiencies and improvements that your boss and / or colleagues have commented on, and explain what you are doing to change. When highlighting your strengths, do it humbly without looking too cocky. No one likes people who are too smart or know all the things! Question: What are your aspirations in your career? Meaning: Potential recruiters you want to know if this job is just a stepping-stone for you, or do you consider a long-term career with the organization. The best way to answer: Go for an interview with a clear idea of ​​your career advancement goals. 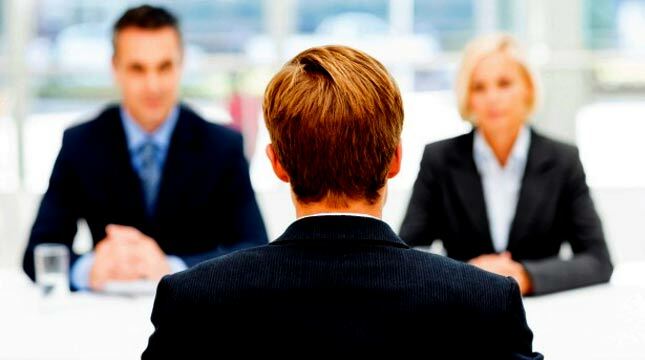 It can provide information to the interviewer that you do not just want the job for money. Your passion for the job is an important aspect that can affect your productivity and loyalty to the company. Question: What's your biggest challenge while working as finance and how do you deal with it? Meaning: The interviewer is looking to identify your weaknesses and evaluate how you work under pressure. The best way to answer: Take an example when you face stressful situations and steps you take to overcome them. Do not be afraid to tell the truth. Say about the hardest areas of work for you to face, and what you do to overcome your shortcomings. The most important thing is to show your initiative and desire to move forward and improve it. Question: What is the best achievement you have achieved so far?